Trans Siberian Orchestra’s classic hit. Updated to the new 2013 display. Thank you for being a customer of LeechburgLights.com. We maintain the highest quality standards, and we hope that the product(s) you have purchased brings you satisfaction. 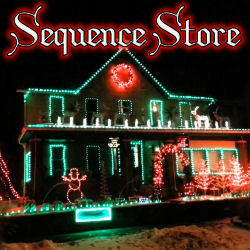 All sequence content is the property of Leechburg Lights and the respective brand, and it is protected by U.S. and international intellectual property laws. It is provided to you for your own personal use. Accordingly, you agree that you will not copy, reproduce, alter, modify, create derivative works, or publicly display any content from the sequence, except for your own personal, non-commercial use. 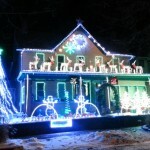 You may post media of your display made with the sequence onto public galleries, your personal blog, or submit media to magazines or online publications; provided that Leechburg Lights and the sequence name are properly attributed in the list of creators. You may not reproduce, repackage, or redistribute any of the sequences purchased on the Leechburg Lights’ website, in whole or in part, for any reason. 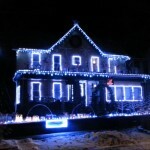 Leechburg Lights’ sequences may not be used for commercial purposes. For example, you may not do any of the following: use the sequence to sell a product or service; use the sequence to increase traffic to your Web site for commercial reasons, such as advertising sales. Commercial licenses are available upon request and are issue by Leechburg Lights only. Any use of the sequence that infringes upon the intellectual property rights of LeechburgLights.com, or that is for commercial purposes will be investigated, and the owner shall have the right to take appropriate civil and criminal legal action. Leechburg Lights shall have the right to modify the terms of this Agreement at any time, which modification shall be effective immediately and shall replace all prior Agreements.